In the 1060s, shortly before the Norman Conquest, the canons at Exeter Cathedral produced a series of fake royal charters. These forgeries claimed that King Æthelstan of England (924-39) had granted the church multiple pieces of land along the Exe valley. These fakes tell us little about the reign of Æthelstan, but they do provide a fascinating snapshot into the concerns of the eleventh-century cathedral community and its leader, Bishop Leofric. Medieval charters were created to record a transaction between two parties, such as a king and a church. As such, they capture the interests of both the donor and the recipient. In contrast, a fraudulent charter only represents the concerns of those who later forged it. Medieval forgeries can therefore provide us with a privileged view into the thoughts and concerns of the clerics who produced them. In the case of Exeter Cathedral, the forgeries in the name of Æthelstan were created to try and enhance the church’s properties: none of the lands ‘Æthelstan’ supposedly granted in the charters were held by the Cathedral in the eleventh-century. Through these forgeries, the canons tried to provide proof of their ancient right to things which did not belong to them. Forgeries can tell us about more than just a community’s nefarious ambitions, however. The ways they were composed reveal how medieval people thought about their past. Often, when completing fake documents, forgers would try and copy the style or handwriting of other ancient documents; they were aware that fakes had to look the part. In turn, the authorities invoked in forgeries reveal what parts of the past were most important to a community. 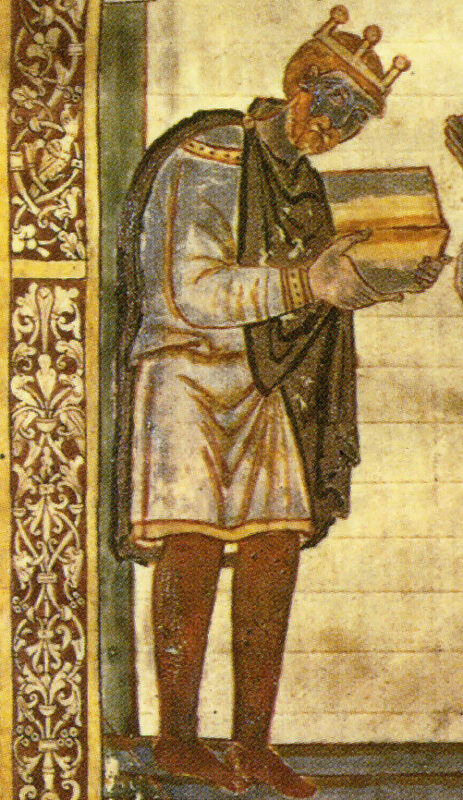 At eleventh-century Exeter, it seems that King Æthelstan was a foundational figure. The Æthelstan forgeries form part of a fascinating collection of Anglo-Saxon charters held at Exeter Cathedral’s Library & Archives. To learn more about these documents, come to the exhibition on ‘Forging the Past in Medieval Exeter’, organised by the University of Exeter and held across the Cathedral and the Library & Archives 13th-31st May 2019. Public tours of the exhibition will be led by its curator Dr Jennie England on 27th-28th May 2019. To book a place on this free event, click here. The end of the exhibition will be marked by a public talk by Dr Levi Roach (University of Exeter): ‘Fake Founders and Counterfeit Claims: The Forged Documents of Medieval Exeter’, 30th May, 19:00.